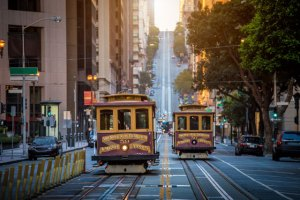 Combine work and play by exploring the San Francisco Bay Area during your HR West Conference experience – earn recertification credits and have a great time! Expand your professional development skills and your travel experience…the ultimate win-win! Whether the City by the Bay has been calling your name, your relatives in Northern California miss you, or you’d just like to get back to the San Francisco area, there are so many options to turn your HR West 2019 Conference experience into a great vacation. 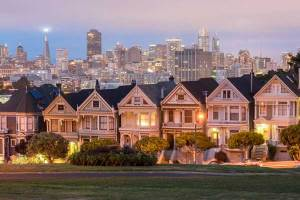 The Golden Gate Bridge, Lombard Street, cable cars, Ghiradelli Square, Chinatown, Union Square and Alcatraz are just a few of the amazing sights to see and adventures to have in the San Francisco Bay Area. Join a tour or catchup with an old friend as you explore the Bay Area and enjoy yourself. HR West takes place Monday – Wednesday, so fly in early or stay a few days after the conference wraps up. NCHRA is partnering with the Oakland Marriott to provide great weekend room rates for Friday and/or Saturday nights! See our Hotel & Travel page to book your extra nights at the NCHRA weekend rates. Everything from free activities to the best nightlife, museums and tours in the area! Home of the NBA Champions, the Golden State Warriors, Oakland offers many attractions and cultural hot spots for yummy food and exciting nightlife. Oakland offers an escape from the well-travelled paths of tourists in the big city.